Sana Abu Halawa, is an Administration professional with more than 14 years of experience working with International Organizations. At present, she serves as the Admin Officer of the Finance for Jobs Project - F4J Located in the Ministry of Finance and Planning Premises. Earlier, Sana gained a good experience Project Financing Planning, Payments, Logistics, Contracts, implementation of Project’s activities, MOFP Coordination for the World Bank Projects, And became one of the Key contacts for the World Bank Group in MoF&P. in term of Preparation of Agreements with the Palestinian Authority, also in term of Mission arrangements. 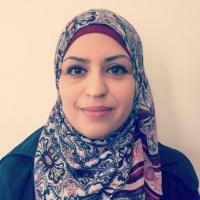 Sana holds a BA in Business Administration and from the Arab American University Jenin. Fluently speaks Arabic and English.